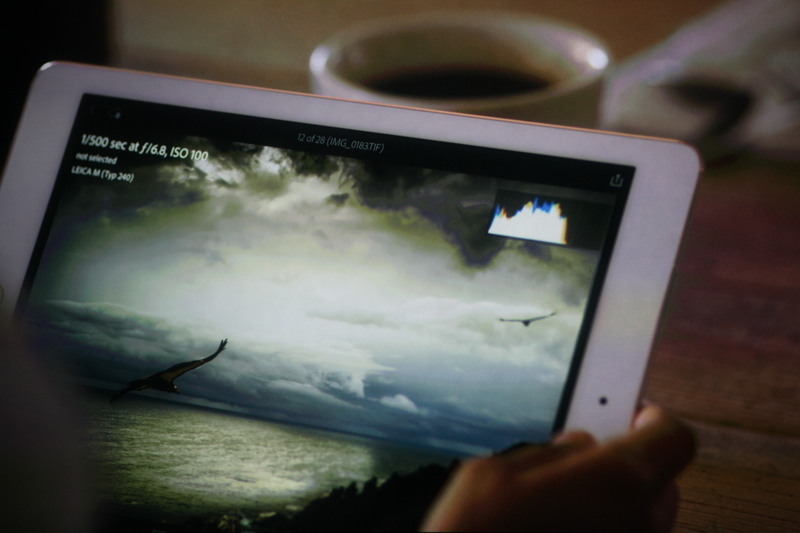 "Can use the camera in augmented reality apps. 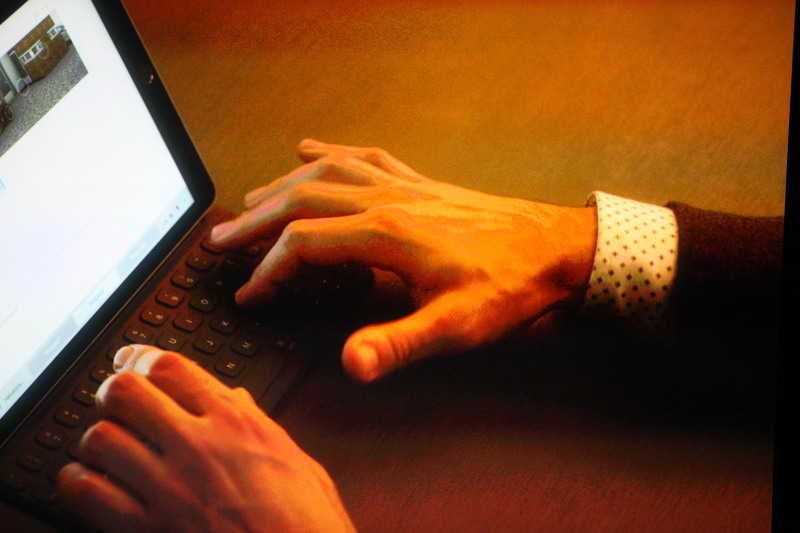 Use it to scan documents." 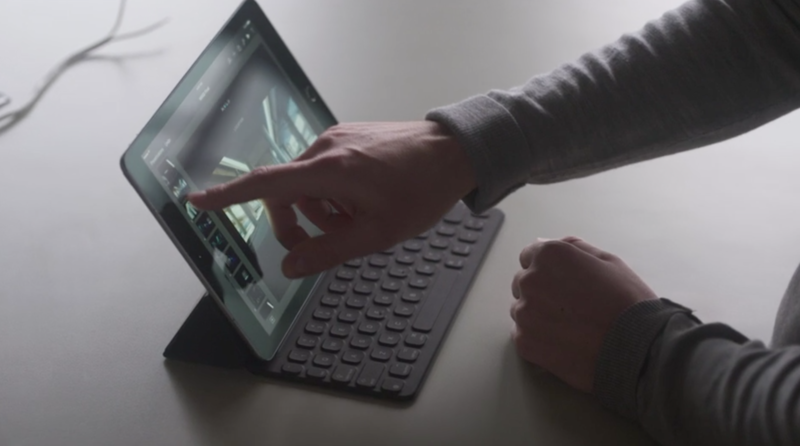 "In the new iPad Pro, we've put our most advanced camera yet. 12MP." 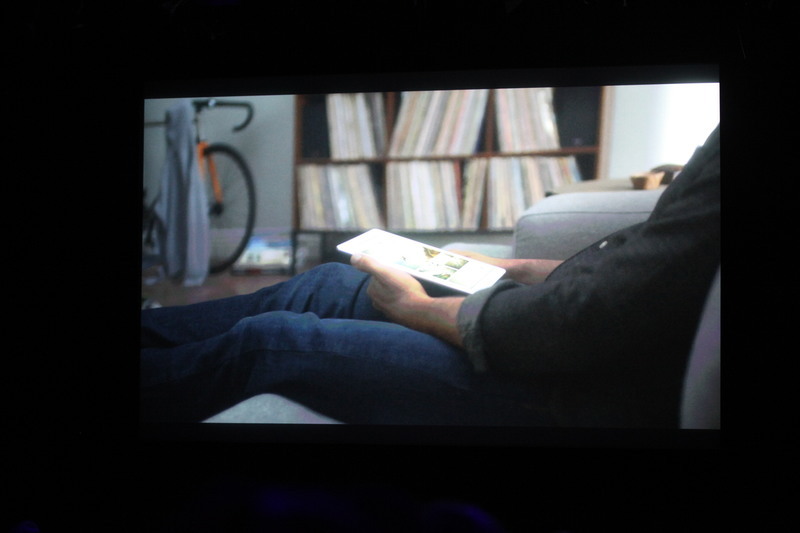 "And you can shoot 4K video with it. 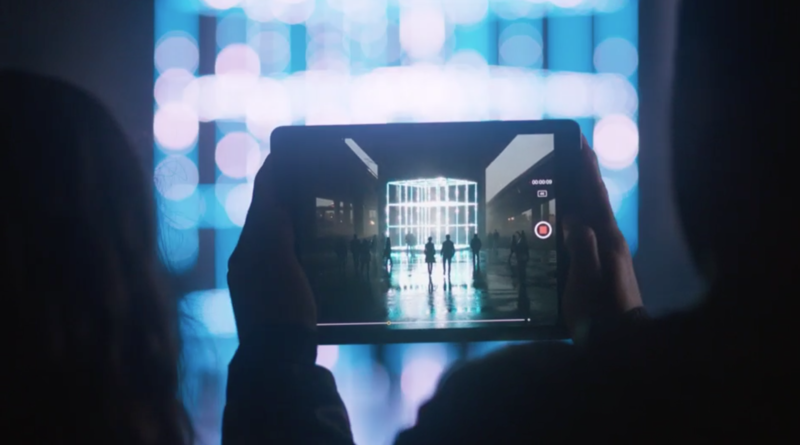 Right on your iPad Pro, shoot 4K video and edit multiple screens on the same device." 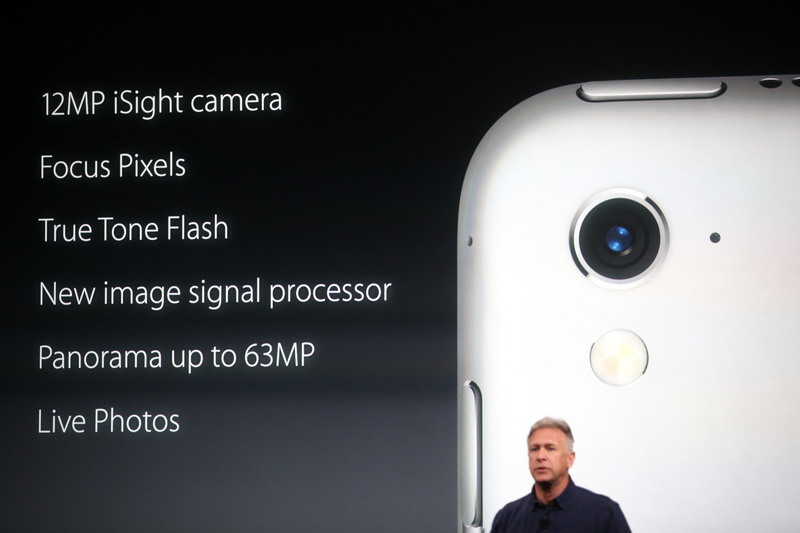 "Retina flash so you can take great selfies." 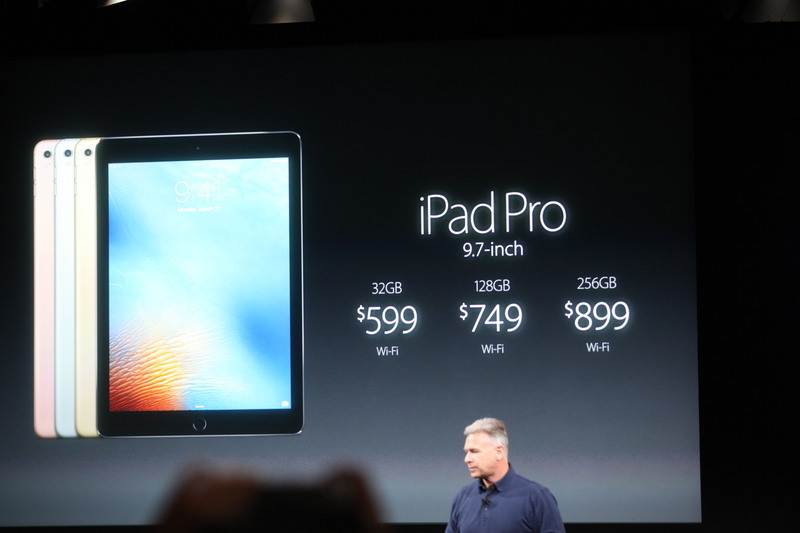 That's $100 more than the base price of the iPad Air 2. 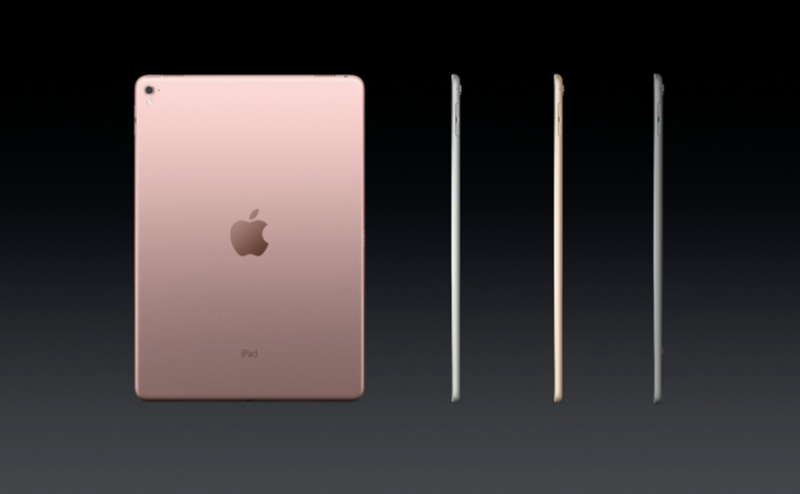 There's a 256GB version for $899. That's the most storage in any iOS device. 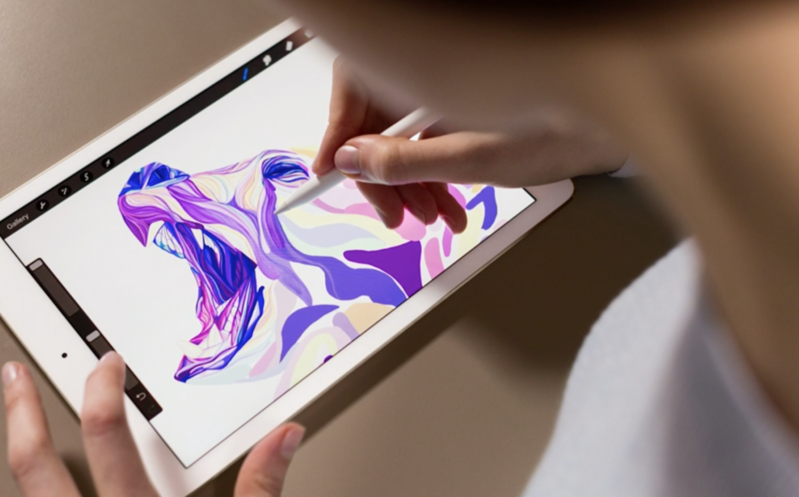 Here's a video to show more about the new iPad. 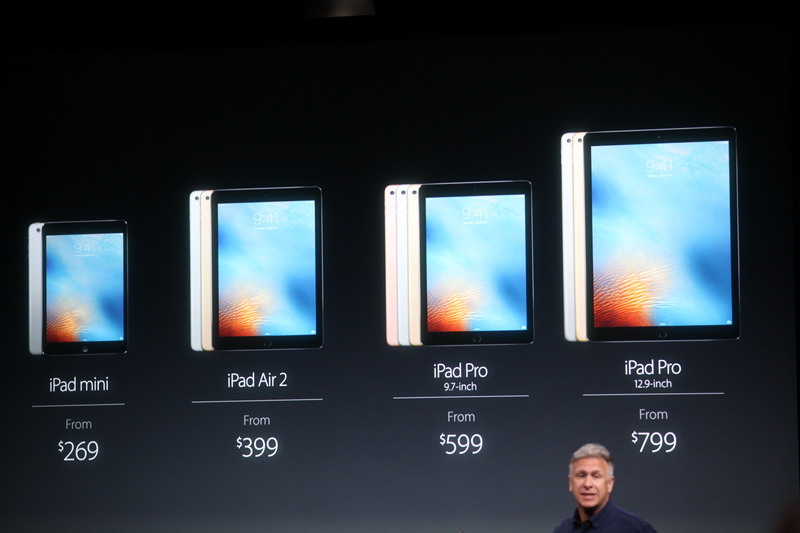 Nice job with the marketing price hike, Apple! 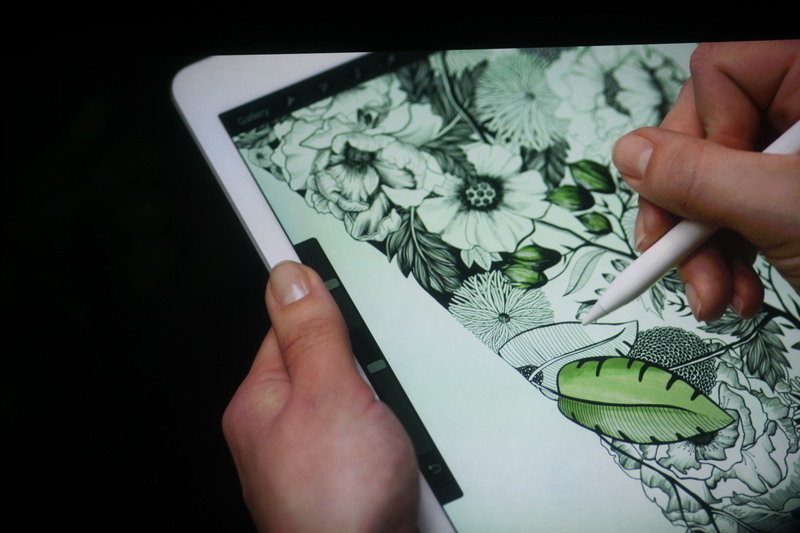 The Apple Pencil also adds on $99 and the keyboard for the 12.9-inch Pro costs $169. 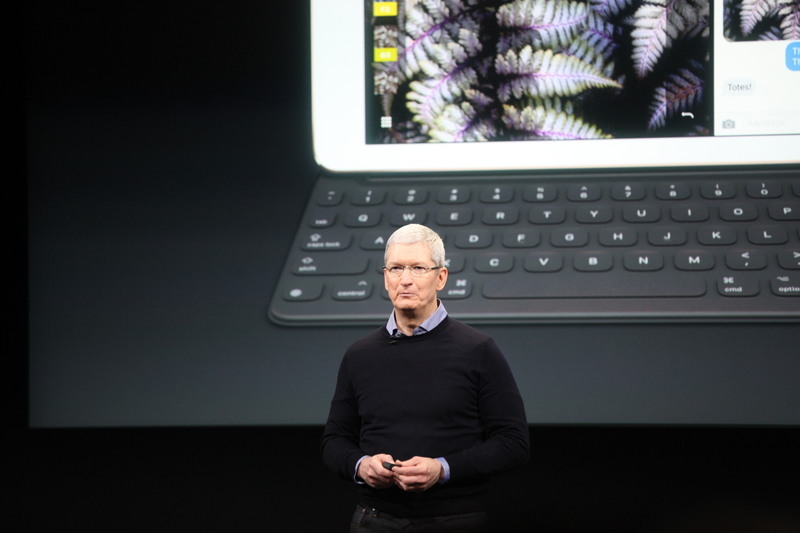 I don't think they've said the cost for the 9.7-inch keyboard case. 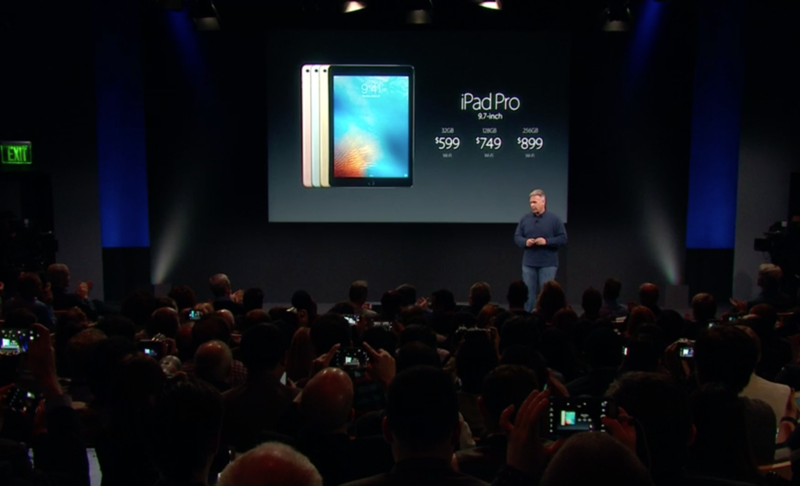 iPad Air 2 will now start at $399, a price drop of $100. 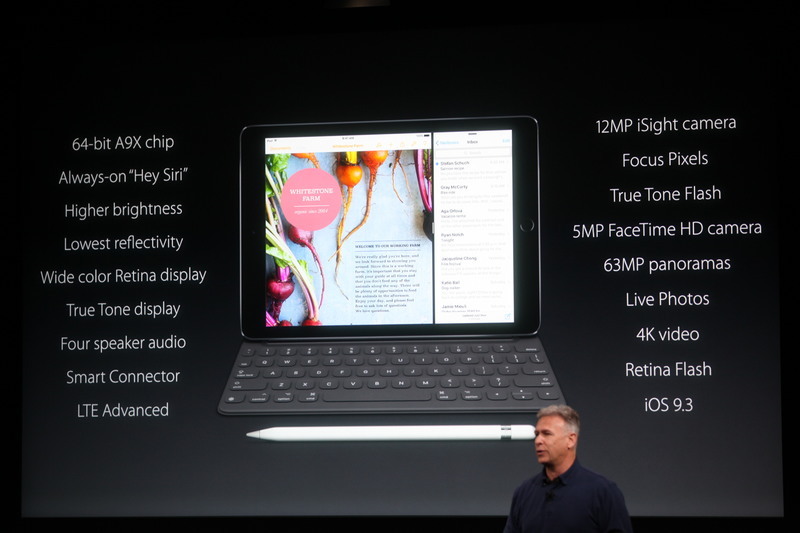 iPad Mini starts at $269. 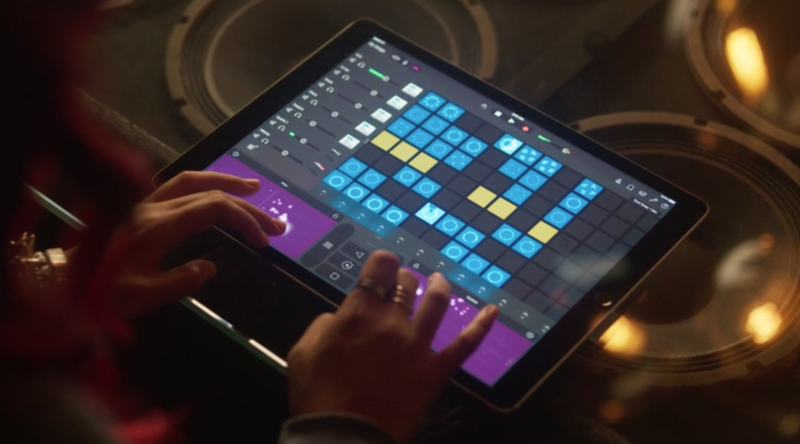 "The iPad Pro is an amazing choice and it allows you to do so much more." Cook is recapping what we saw today. "We're always pushing forward and innovating"
"This is probably the last product introducition in the Town Hall you're sitting in today." 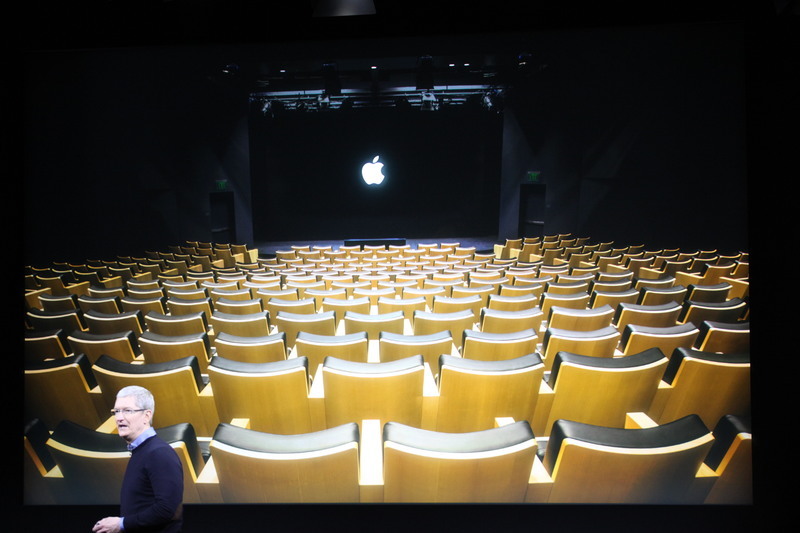 "The iPod was announced in this room. So was the App Store. We have lots of great memories here." 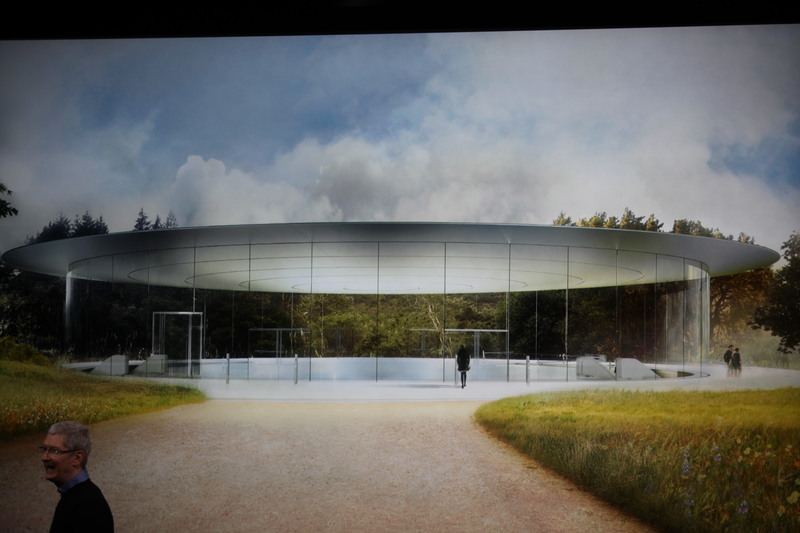 "Next year in 2017, we're looking forward" to the new spaceship campus. "We expect that we're going to have many, many opportunities to invite all of you to join us there." "We can't wait to see what's in store the next 40 years." 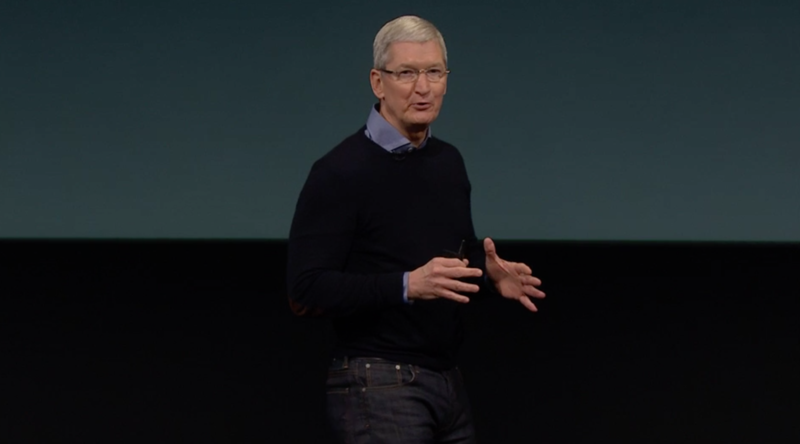 Tim Cook is thanking everyone and telling us about the hands-on area. We're going to run to the demo area now. 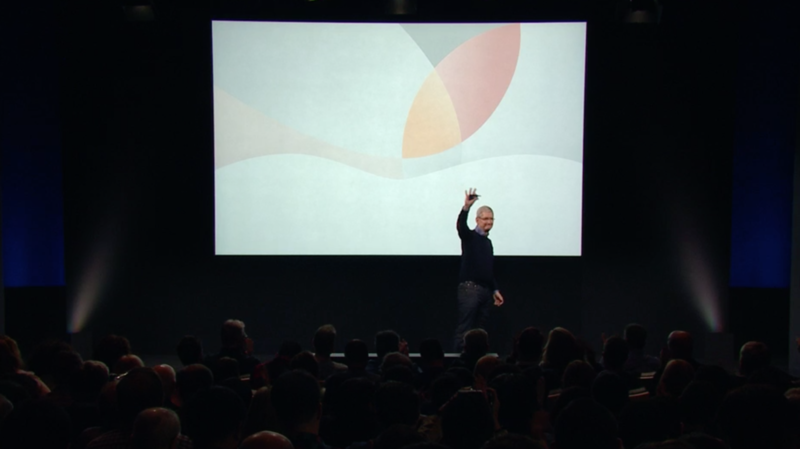 Cook closing up the Town Hall. 3 word question that stuns me: Where is Mac? Thanks for joining! 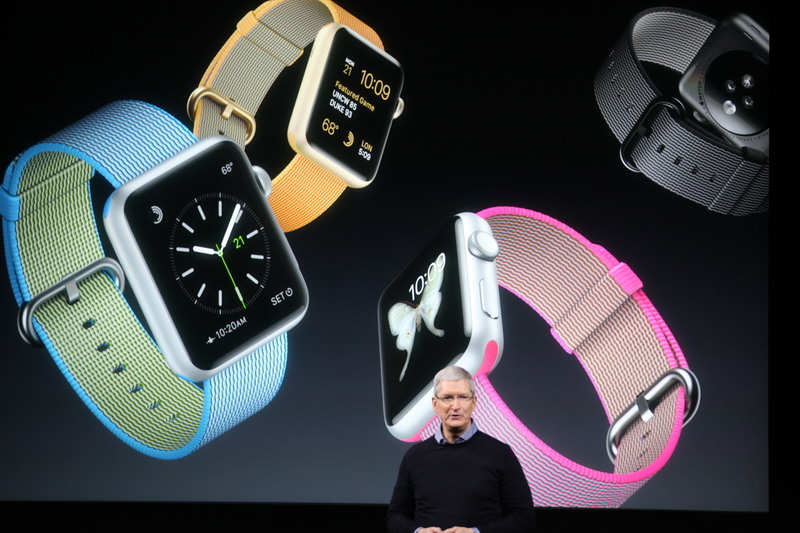 See all of the news from today's event here.